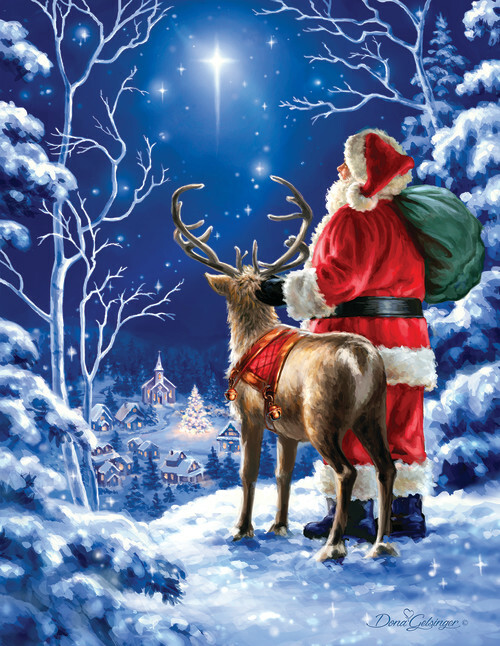 Santa and one of his trusty reindeer follow the stars in the night sky in this 500-piece puzzle, "Starry Night". This wonderfully illustrated puzzle is sure to get you in the holiday spirit! I notice this one was in the easy puzzle section, not sure why. I fought this one for several days. But a nice puzzle with decent quality.